The “max SPL” figure for a microphone communicates the loudest sound the microphone can capture without distortion. However, dynamic mics rarely have a max SPL rating. The reason for this is inherent in their design. As Wikipedia explains, dynamic microphones translate audio into electronic signals via electromagnetic induction: there is a movable induction coil positioned in a magnetic field, and it vibrates due to ambient sound waves. Although it is possible that ambient sound waves can physically move the coil so far that it bangs into its housing, the reality is that any sounds that loud are probably causing much bigger problems. Compare this to condenser mics, which have onboard electronics (including an amplifier) that can overload. This causes audible distortion, and leads to the inclusion of “max SPL” figures in specification sheets for most condenser microphones. 180 dB SPL is the MAX SPL of the SM58. However, this is a calculated measurement as Shure Engineering had no means to create such enormous and dangerous SPL. 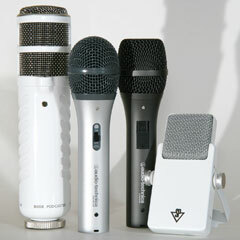 Still, mic manufacturers must know what their dynamic mics can handle, no? In most cases, probably not, or they’d publish the numbers. The problem seems to be generating a signal loud enough to cause distortion in dynamic mics. Above 155 dB, you’re only going to find jet engines, assault weapons, and volcanoes. Note that the highest theoretical undistorted sound pressure value is just a hair over 191 dB, due, as far as I can tell, to limitations of the Earth’s atmosphere. Louder sounds are possible but tend to be distorted (e.g., sonic booms may surpass 200 dB, and will certainly cook your dynamic mic). The fine folks at Shure go into some interesting detail about the frequency-dependent nature of SPL capabilities of dynamic mics, but the headline is that unless you’re trying to close-mic the space shuttle, chances are your dynamic mic won’t distort, whether or not the mic’s spec sheet indicates a max SPL rating. And if you are trying to close-mic the space shuttle, (a) use a pad (inline or switched) to prevent clipping of your preamp, and/or (b) move the hell away from the launch site, because SPL decreases with distance from the source. 194 dB SPL is the point at which the low-pressure half of the wave would reach vacuum, or a complete absence of air, which is the lowest pressure you can get. I suspect you’d get bad non-linear distortion before you ever reached this point, though.